The mid-nineties were a fertile period for the vampire movie. Big-name stars such as Tom Cruise and Eddie Murphy flocked to genre, as did high-caliber filmmakers like Francis Ford Coppola, veterans Wes Craven and John Landis, independents Michael Almereyda and Jeffrey Arsenault, and up-and-comers Quentin Tarantino and Guillermo del Toro. Amid the fangs and crucifixes, Abel Ferrara reunited with his King of New York star Christopher Walken for The Addiction, a distinctly personal take on creatures of the night. Having made a big-budget foray into science fiction two years earlier with Body Snatchers, Ferrara s approach to the vampire movie is in a lower key. 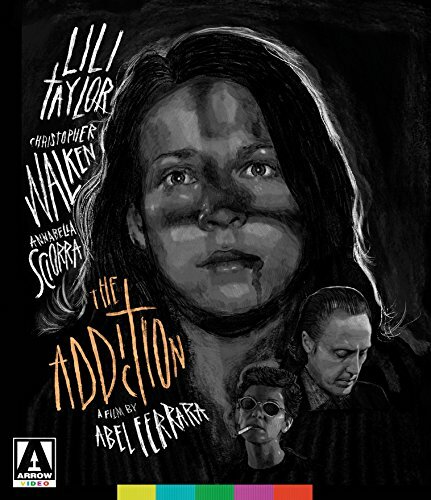 Shot on the streets of New York, like so many of his major works including The Driller Killer, Ms. 45 and Bad Lieutenant¬ ¬ and beautifully filmed in black and white, The Addiction sees the filmmaker on his own terms and at his very best: raw, shocking, intense, intelligent, masterful.